Award-winning Tassie film-maker and inventor has, last week, captured the most extraordinary video of whales ever seen. 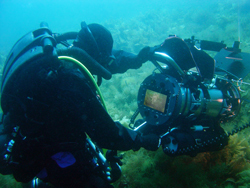 Shooting with underwater housings that he himself created - and that won the top international award for innovation earlier this year in the USA (See: Aussie film-maker’s invention wins major international award) - Pawel Achtel, and fellow film-makers Jon Shaw and Philip Barthropp, have managed to get extraordinary 3D footage of mother and calf behaviour and other dramatic footage. "The weather was atrocious," said Mr Achtel, from his camp on the shores of Vava’u in Tonga., "Torrential rain and heavy winds every day. But the shots we got were out of this world. 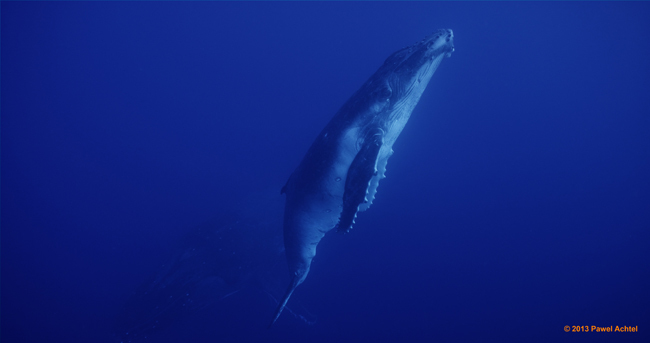 It's like you can see every pore on the humpbacks' skin, their hair and every bubble from the movements of their fins" – a magic that can not be replicated by using other conventional acquisition methods. 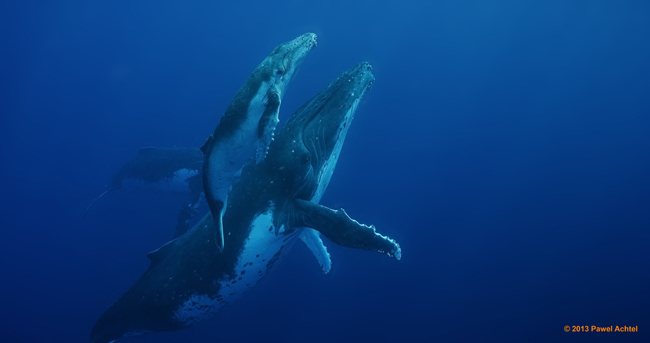 Every year, off the coast of Tonga humpback whales gather to give birth and mate. 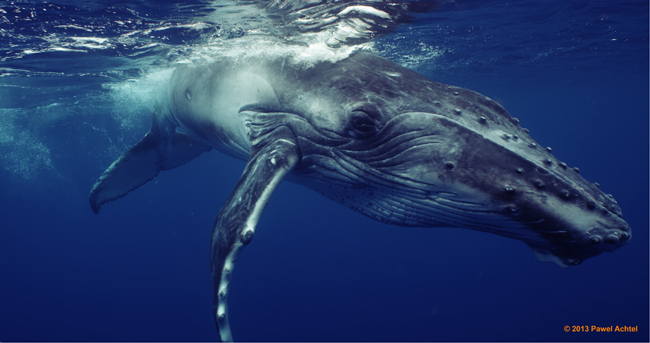 This pilgrimage gives an opportunity to film makers to capture images of those surprisingly large and yet elusive creatures. 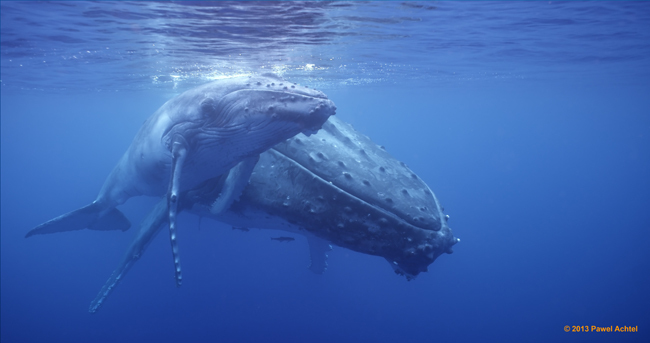 What makes these new images so extraordinary is that they're of a quality so far in advance of today's high definition television standards, and even of big screen IMAX standards, that watching Mr. Achtel's footage of whales on the big screen, in 3D, is as close as most of us will ever get to being there, swimming with these 15 metre giants. "We're shooting in what's called 5K resolution as well as in 3D," added Mr Achtel. 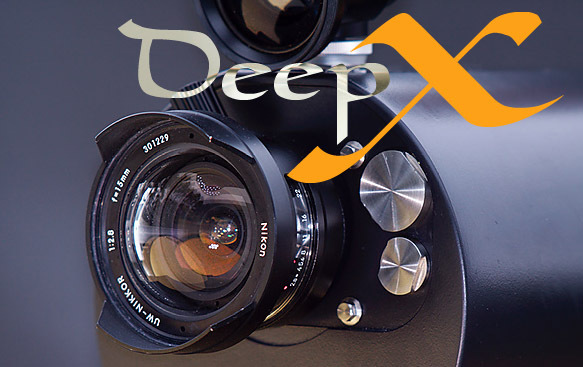 "Something that's never been accomplished before underwater because of the optical problems associated with traditional underwater housings and the enormous size of traditional 3D equipment. But with lightweight, manoeuvrable, yet high resolution camera systems, we can simply follow the action". In fact, we had two of them in the water for multi angle sequences. A giant screen 3D projection of the footage will be shown at Jackson Hole Wildlife Film Festival 2013.